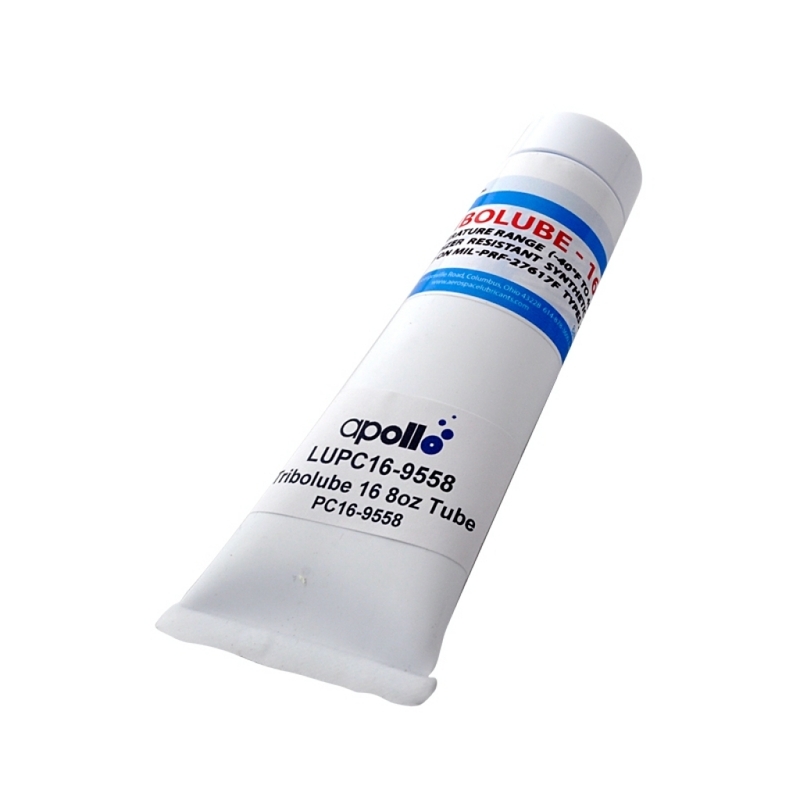 Tribolube-16 is a wide temperature range grease especially useful in vacuum and other systems where nonreactivity with chemicals, strong acids and oxidizers, fuels, and solvents is required. Although this lubricant is very inert, newly exposed rubbing surfaces of aluminum and magnesium may react with the greases under certain conditions. Low Temperature Torque @-40°F. 60 min. Running. Demands placed upon lubricants have become increasing severe with advances in industrial machinery and equipment design. Higher operating temperatures, speeds and gear and bearing loads are stressing the capabilities of conventional petroleum-based lubricants. The OEM&apos;s have increased demands for "sealed for life" applications. Such applications require synthetic lubricants. Synthetic lubricants were developed to meet demanding requirements which exceed the operational limits of conventional petroleum based lubricants. Because they are man made, synthetics can be better tailored to their role as a lubricant by meeting predetermined physical and chemical properties. Formulated from pure hydrocarbons, synthetics do not contain the impure components that adversely affect the physical and chemical stability of petroleum based lubricants. At very low temperatures, most petroleum-based oil and grease lubricants thicken and are usually limited to temperatures no lower than -20ºF unless high temperature performance is sacrificed. In contrast, synthetic oil and grease lubricants have good low temperature viscosity and fluidity characteristics down to as low as - 140ºF, and are still capable of operating at temperatures as high as 600ºF. Lubricants are susceptible to failure at high temperature, especially in thin films after long term exposure. Recent research in boundary lubrication confirms the primary role of high temperature in lubricant degradation. Increasing temperature rather than increasing shear load has been found to induce most lubricant failures. Petroleum-based oil and grease lubricants have an upper temperature limit of about 250ºF to 300ºF. Above these temperatures they become fluid and volatile. If grease lubricated machinery is operated above that temperature limit, the lubricant breaks down and may melt or form hard carbon deposits. Some synthetic grease lubricants can operate up to about 600ºF without melting. Dust, dirt, and other debris can create additional problems for petroleum-based lubricants. These lubricants tend to attract contaminates because they are naturally occurring compounds which have unreacted molecular end groups. These end groups produce electrical charges at the surface, so when a charged dust or dirt particle comes near, they are attracted to the surface of the lubricant. The dust particles can be abrasive and damage parts and machinery. It is this characteristic of petroleum-based lubricants that create problems in dusty and dirty applications such as paper and textile mills, printing plants, and metal-forming operations. This situation leads to frequent machine down time for cleaning and relubrication. Because synthetics are man made, they are fully reacted chemicals and do not have the unreacted end groups which attract dust and dirt. Wear of moving parts can thus be reduced in dusty environments.